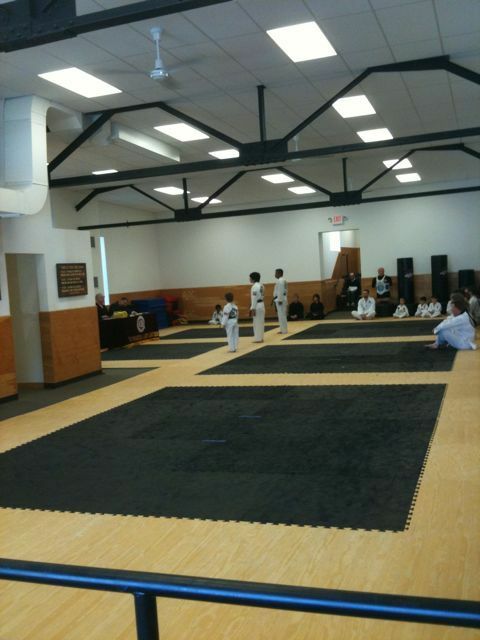 I’m at Toby’s tae kwon do class watching him do his thing. He’s getting fairly senior in his age group as he got his blue belt last weekend (the progression is white, yellow, gold, orange, green, blue, purple, brown, red, red/black stripe, black). You can really see how he is progressing in his strength and physical ability, and also in his discipline and focus. He loves it. When I collected him from school he was out in the playground enjoying the beautiful weather. He and his friends were working very hard on building a small raft to help a worm get across a puddle. They were having a great time but also very serious and intense. How great to be seven!